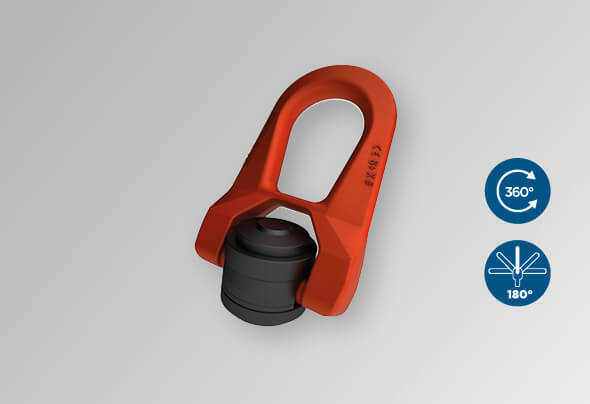 GRADUP lifting rings are designed to lift heavy loads, ranging from 0.07 to 125 tons, which need to be turned or flipped. 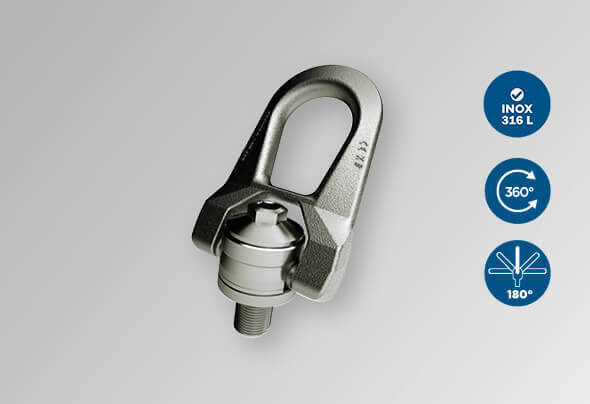 With a maximum swivel range of 360°, GRADUP rings can support the entire load in all mounting positions. 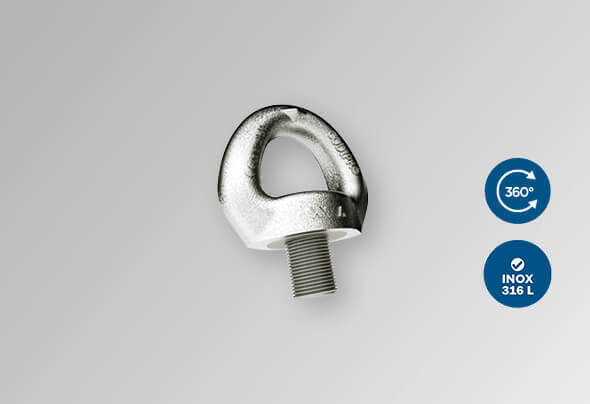 The torque value marking on each ring helps to avoid the risks associated with screw twisting and breaking. 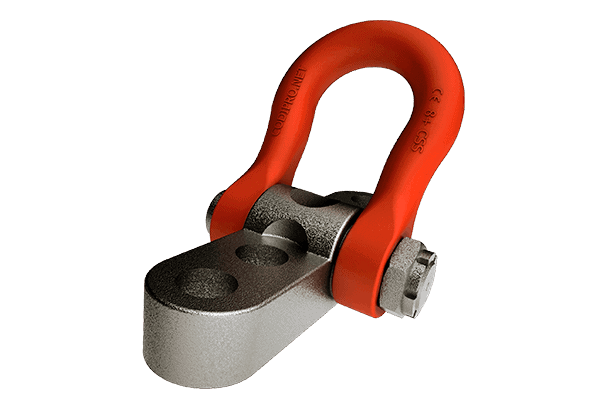 Stainless steel lifting rings provide better protection against rigorous environmental conditions. Available in either male or female versions, stainless steel rings can be used in the chemical industry, sea transportation industry, etc. 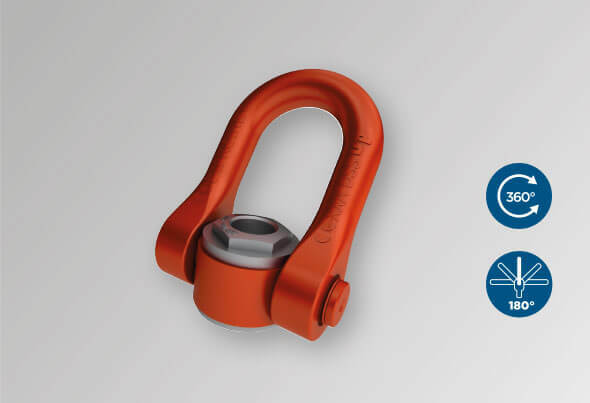 Every ring has its own individual traceability code for thorough tracking and is marked with a WLL and the CODIPRO name. 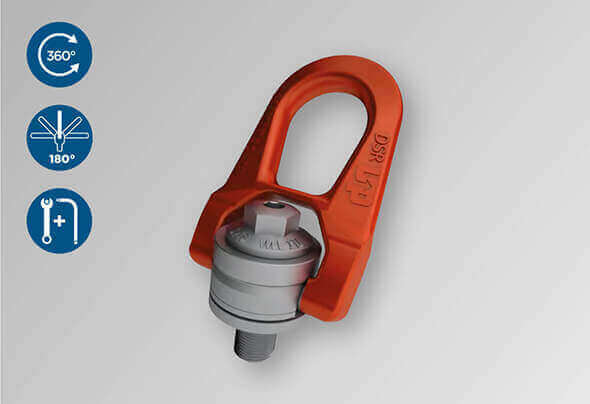 When pivoting and/or swivelling and tilting loads and for repeated applications, it is preferable to use universal-type rings with a lifting hook, such as the DSH model. 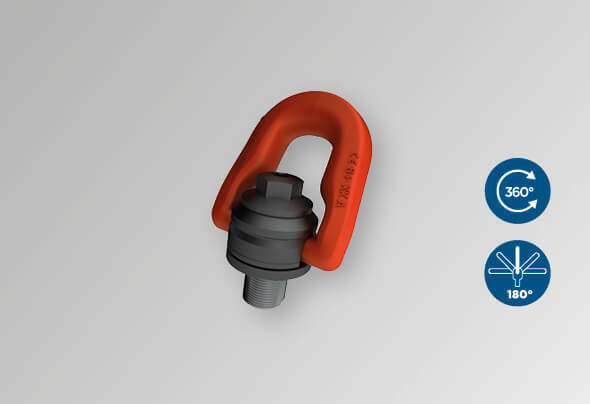 PE.SEB anchor points are not lifting rings in the conventional sense. They are fixing points for fall protection equipment systems (PPE – Personal Protective Equipment). 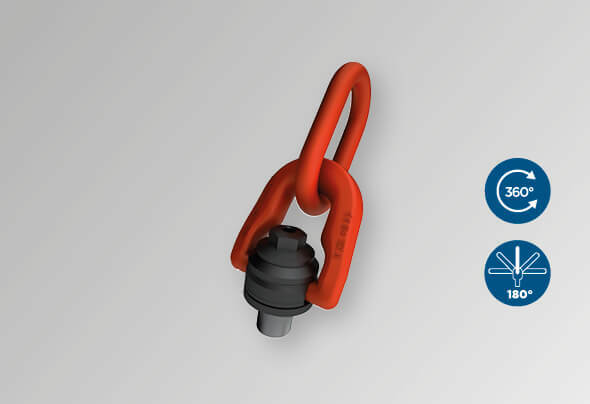 PE.SEB rings can be permanently attached to a structure and thus be used as PPE. ISO thread M 12 to M 24. 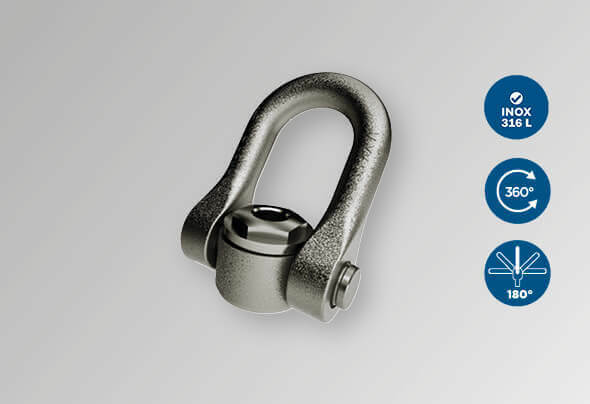 Available in zinc-plated steel or stainless steel. 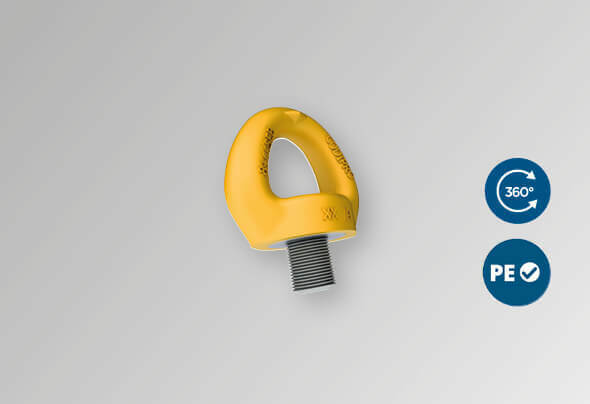 Welding lifting rings help to provide a welded gripping anchor point for lifting and securing loads of up to 10 tons. Welding applications are strictly reserved for a welder who has the required qualifications based on EN 287-1. 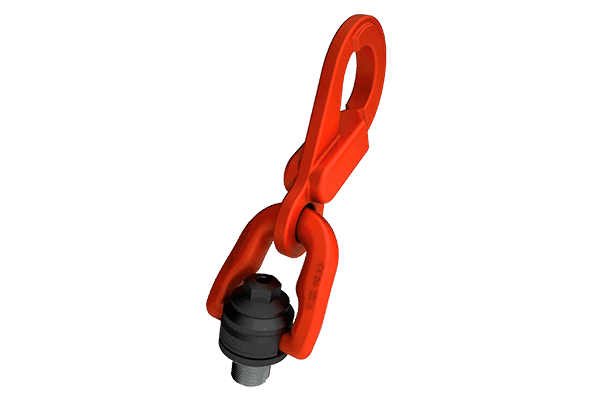 The CSS central safety rings are specially designed for handling heavy loads. 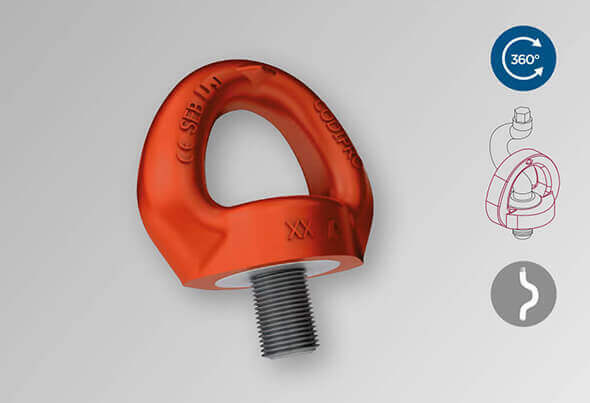 A single CSS lifting ring can lift up to 55 tons. 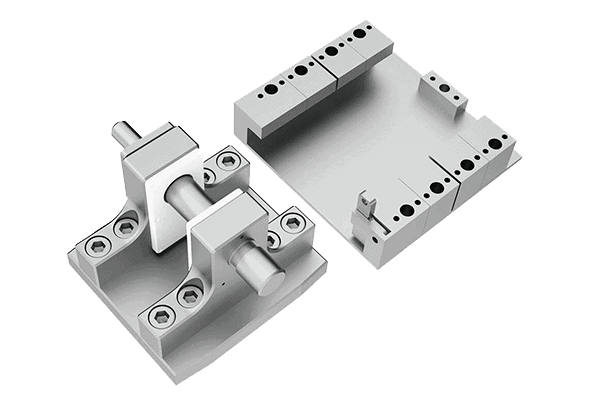 The SLM lifting system is particularly suited for lifting moulds of up to 80 tons.